One of the new millennium’s most beloved boy bands, O-Town’s story began in 1999, after the very first musical reality show in TV history. A precursor to X Factor, Popstars and America’s Got Talent, “Making the Band” documented the origin, development, and eventual success of O-Town over three seasons. The group became the first to be signed by Clive Davis to his label, J Records, and subsequently released two full-length albums, including No. 1 singles, “Liquid Dreams” and “All or Nothing”, the latter of which was nominated for “Song of the Year” at the Radio Music Awards in 2001. After this meteoric rise to fame, including a spot opening for Britney Spears’ 2001 tour, the group unexpectedly disbanded in 2003. After reuniting in 2014 as a four-piece, band members Jacob Underwood, Trevor Penick, Dan Miller and Erik-Michael Estrada released their third studio album ‘Lines & Circles’, embarking on their first national tour in ten years to support the new release. After receiving continued support from their loyal fanbase, the group launched a Kickstarter campaign to fund their fourth studio album, meeting their initial goal of $47,500 within the first 7 hours and eventually doubling their goal. The record is split into two EPs, with ‘Part 1’ being released in summer 2017. 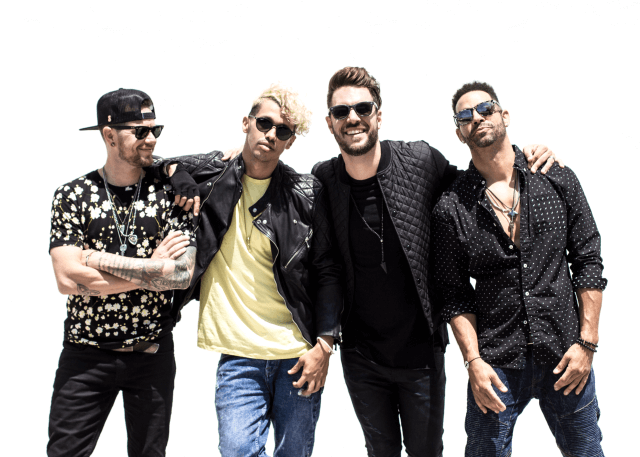 O-Town continue to tour in support of their new music, playing eagerly anticipated concerts and festivals across the globe and further establishing their status as one of America’s best loved pop groups.